Heap, H.A., and R.C. Lawrence. 1976.The selection of starter strains for cheesemaking. N.Z.J. Dairy Sci. Tech. 11:16-20. Hynd,J. 1976.The use of concentrated single strain cheese starters in Scotland.J. Soc. Dairy Technol. 29:3945. O'Toole, D.K. 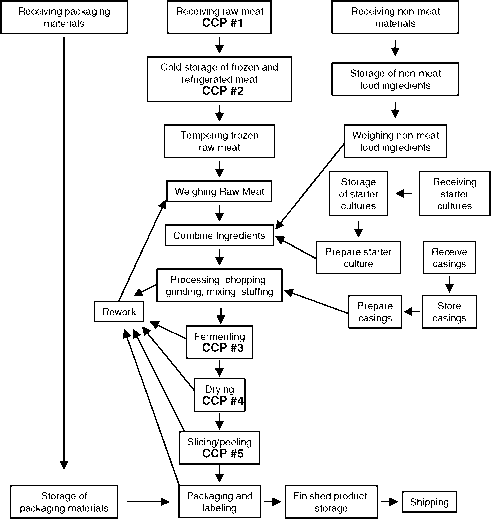 2004.The origin of single strain starter culture usage for commercial Cheddar cheesemaking. Int. J. Dairy Technol. 57:53-55. Richardson, G.H., G.L. Hong, and C.A. Ernstrom. 1980. Defined single strains of lactic streptococci in bulk culture for Cheddar and Monterey cheese manufacture.J. Dairy Sci. 63:1981-1986. Sandine,W.E. 1977. New techniques in handling lactic cultures to enhance their performance. J. Dairy Sci. 60:822-828. Thunell, R.K., F.W. Bodyfelt, and W.E. Sandine. 1984. Economic comparisons of Cheddar cheese manufactured with defined-strain and commercial mixed-strain cultures. J. Dairy Sci. 67:1061-1068. Timmons, P, M. Hurley, F. Drinan, C. Daly, and T.M. Cogan. 1988. Development and use of a defined strain starter system for Cheddar cheese.J. Soc. Dairy Technol. 41:49-53. Walker, S.A., and T.R. Klaenhammer. 2003 The genetics of phage resistance in Lactococcus lactis. In B.J.B. Wood and PJ.Warner (ed. ), p. 291—315. The Lactic Acid Bacteria, Volume 1, Genetics of Lactic Acid Bacteria. Kluwer Academic/Plenum Publishers. New York, New York. require the presence of two different organisms, Streptococcus thermophilus and Lactobacillus delbrueckii subsp. bulgaricus. Sour cream cultures, likewise, contain acid-producing lactococci and flavor-producing Leuconostoc sp. Many sausage cultures similarly contain species of Lactobacillus and Pediococcus. However, even for products requiring only a single organism (e.g.,Lactococcus lactis used for cheddar cheese manufacture), paired or multiple strains are often desired. The rationale for this preference is based mainly on bacteriophage concerns. Multiple strain starters are blended such that they contain a broad spectrum of strains with dissimilar phage sensitivity patterns. That is, each strain is resistant to different phage types, so that if one strain is infected, the other strains can complete the fermentation.This approach is reminiscent of the natural mixed strain cultures described above, except that the defined strain blends behave in a more predictable and consistent manner. Identifying which strains have become sensitive to the indigenous phages in that particular plant requires regular monitoring of phage levels in the cheese whey, and simple in-plant tests have been developed for this purpose (along with more sophisticated titer assays conducted by the culture supplier laboratories).When phage titers reach some critical level or a particular strain begins to show sensitivity, that strain is removed from the blend and replaced with a new phage-resistant strain or derivative. Multiple strain cultures can also be rotated in a particular order to achieve an even greater level of security (see below). Most starter cultures, including those produced for the dairy, meat, baking, and other fermented foods industries, are mass-produced in modern, large-volume fermenters. The manufacturing process actually begins with a single colony isolate or stock culture, which is then grown in a small volume prior to inoculation into the production fermentor (Figure 3-1). These fermentors operate under aseptic conditions, not unlike those used in the pharmaceutical industry for production of biomedical products. They almost always operate in a batch mode, because continuous cell production systems have not yet been adopted by the industry. The size of the fermentors may vary, from as little as 10 liters to several thousand liters. However, the basic operational parameters and control features are essentially the same for both small and large batches. The choice of media also varies, depending on the organisms being grown and the nutrient requirements necessary for optimum cell production. For example, dairy starter cultures are frequently produced using milk- or whey-based media, whereas molasses or corn syrup can be used as the basal medium for other lactic cultures. Specialized nutrients are also often added to the medium. Water-soluble vitamins, such as the B vitamins, are required for optimum growth of lactococci and lactobacilli, and some species of Streptococcus, Leuconostoc, and Lactobacillus also require specific amino acids. Other compounds, such as the surfactant Tween 80, are added to the growth medium to promote membrane stability of lactobacilli and other LAB during subsequent frozen storage and lyophilization.